Backing up your important data is vital; Crash Plan is an online service that lets you save your data’s backups online in a cloud platform. It is both free and paid service. You can save unlimited amount of your data online and can purchase its subscription to enjoy some high level features. It needs you to have Crash Plan client installed on your local computer and then you can use this client to save and download your data online. It is a well organized and stable application; it keeps running in the background and backs up your data on regular intervals. If your computer goes to sleeps or runs out of power, it will resume the backup itself once your system comes back up. It uses secure way to transfer your data to/from online service. It maintains multiple copies of your data online so if needed you can have different versions of your files available. 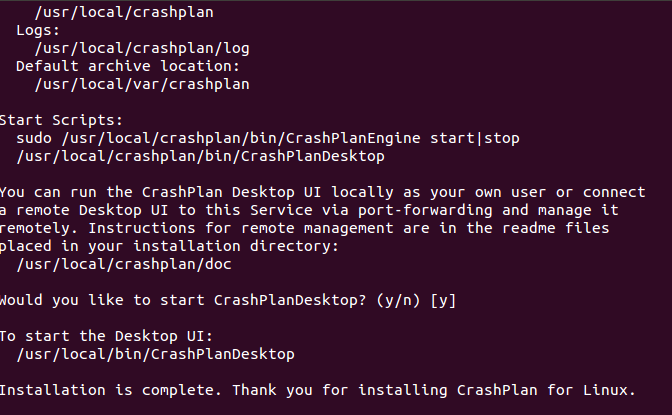 It is a feature rich application, let’s see how we can install Crash Plan client application on Ubuntu Linux operating system. This tool needs java installed on your system, but no need to panic; you don’t have to install Java yourself if you already don’t have it. Crash Plan installer will take care of this dependency for you. Download Crash Plan for Linux from following URL. 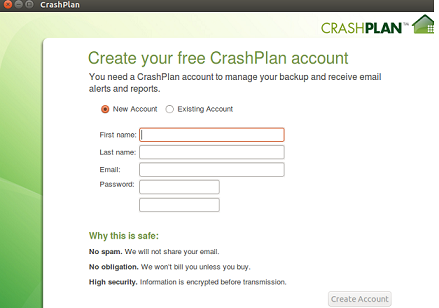 Press “Enter” to start the installation process for Crash Plan. 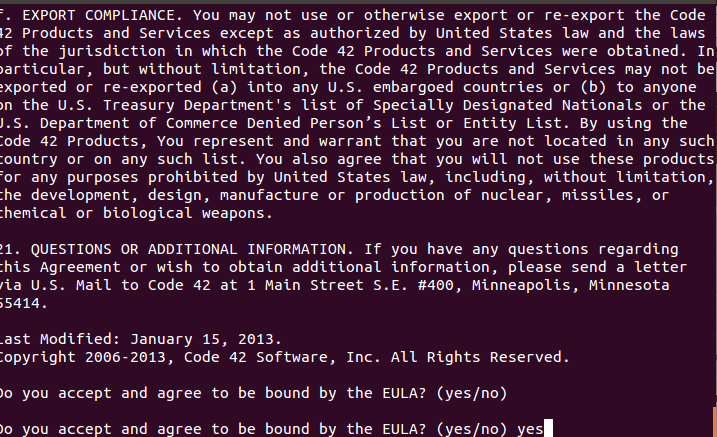 Review the License Agreement and type “Yes” to continue with the installation process. It might ask you for some path information on next steps, just keep hitting “Enter” to accept the default choices. It will detect if Java is installed on your system or not, if no Java found, it will start the installation process for this itself. 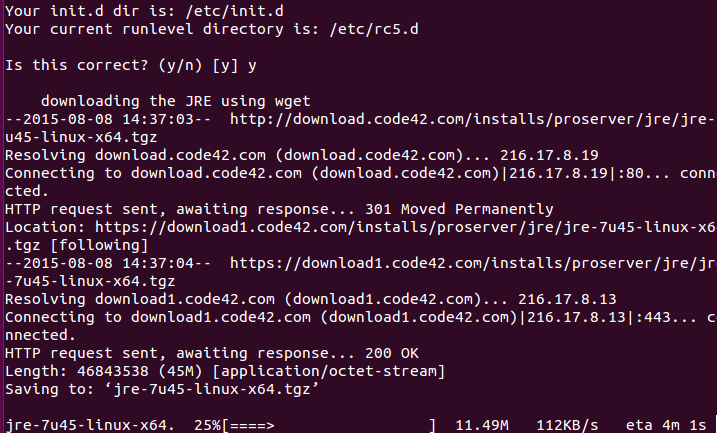 Once the Java installation is over, it will hardly take a minute to perform the rest of the installation/configurations. Here is how successful installation process for Crash Plan looks like. It will automatically create a shortcut on the desktop, click that to start the Crash Plan on your Linux System. Backups are immensely important; so it is necessary to have such an app installed on your system which should automatically take care of your data backup process. It is a lightweight application and does not consume any high amount of system resources.